10-Year-Old Singer/Songwriter Jolie Montlick has been invited to spread her anti-bullying message at the opening weekend of the Gwinnett Gladiators professional minor league hockey team, Saturday, October 20th. As part of her message, Montlick’s music video “My Song for Taylor Swift” will premiere to the Atlanta crowd of 10,000. Filmed with a cast of over 150, the video honors Taylor Swift, who was a victim of bullying, and also empowers kids to not be silent bystanders and to be a friend to someone who is a victim. Jolie Montlick, 10-year-old singer and songwriter just released her song and music video- "My Song for Taylor Swift." "My Song for Taylor Swift" not only honors my favorite artist, but it also empowers kids to not be silent bystanders, and to be a friend to someone who is a victim. The music video “My Song for Taylor Swift” will premiere this Saturday, October 20th, to a crowd of 10,000, at the opening weekend of the Gwinnett Gladiators professional minor league hockey team. 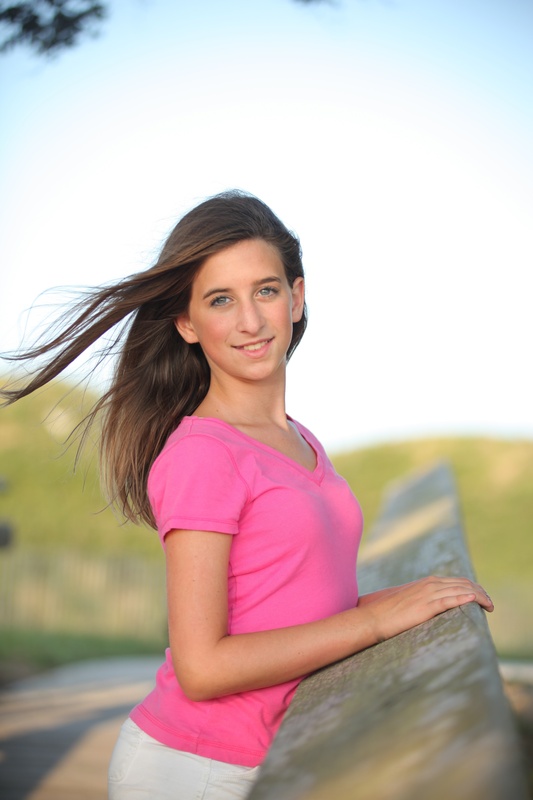 10-year-old singer/songwriter Jolie Montlick will be appearing live to help spread her anti-bullying message. Filmed with a cast of over 150, the video honors Taylor Swift, who was a victim of bullying, and also empowers kids to not be silent bystanders and to be a friend to someone who is a victim. “I am very excited about the opportunity to get the message out, and to let kids who are being bullied know that they are not alone,” says the 5th grader. “There are so many sad stories in the news, and I am thinking today of Amanda Todd from Canada, and how if someone had taken the time to sit with her and be a friend, she might not have felt so alone.” Jolie's music video, which shows scenes of kids taking appropriate actions when faced with bullying, is also being shown at school/community anti-bullying rallies, and has received positive feedback from kids, parents and educators. 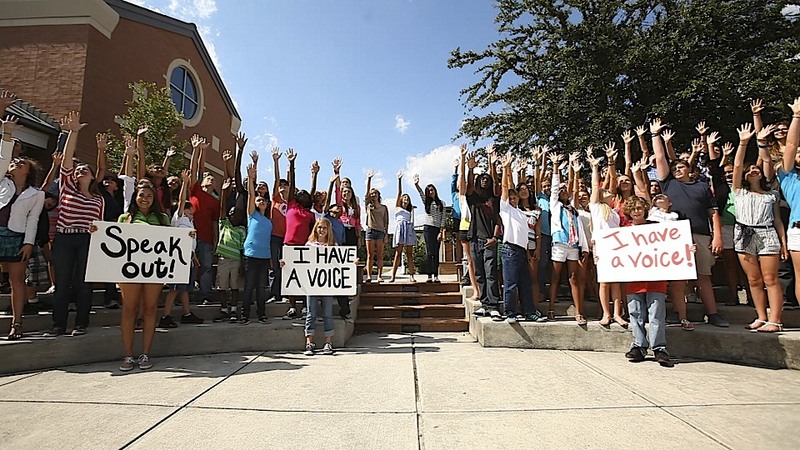 Some of the statements made by kids who have seen the video include: "I am not going to be a victim anymore," "I am going to speak up the next time I see someone being bullied," and "the video made me realize that I am not alone, and that bullying can happen to anyone." Jolie states, "I want the video to go viral so that it will be seen around the world, to help as many kids as possible." The music video for “My Song for Taylor Swift” can be seen at JolieMontlick.com and on YouTube. The song is available for purchase on iTunes and Amazon, with 100% of the net proceeds going to support the Ambassador 4 Kids Club (A4K). A4K is a national, non-profit youth organization that provides kids with the information they need to prevent, stop and report bullying and child abuse. Jolie is a national spokesperson for the A4K program (a4kclub.org). The Gwinnett Gladiators are celebrating their 10th Anniversary at this Saturday’s game against the Greenville Road Warriors, starting at 7:05pm. The media is invited to attend. When not in school or working on her music, Jolie gives generously of her time to help others. As National Spokesperson for A4K, Jolie appears in public service TV messages and news interviews to encourage kids to use their voices to speak out against bullying, and to take positive actions to help kids who are being bullied. Jolie is also a 2nd degree black belt and two-time state champion in Tae Kwon Do, and has helped teach self-defense and life skills to over 1,000 kids. In addition to “My Song for Taylor Swift”, Jolie has just released three new singles that are available on iTunes and Amazon: “Just One Day”, “Crazy For You” and “Need You”. For more information, please visit JolieMontlick.com. 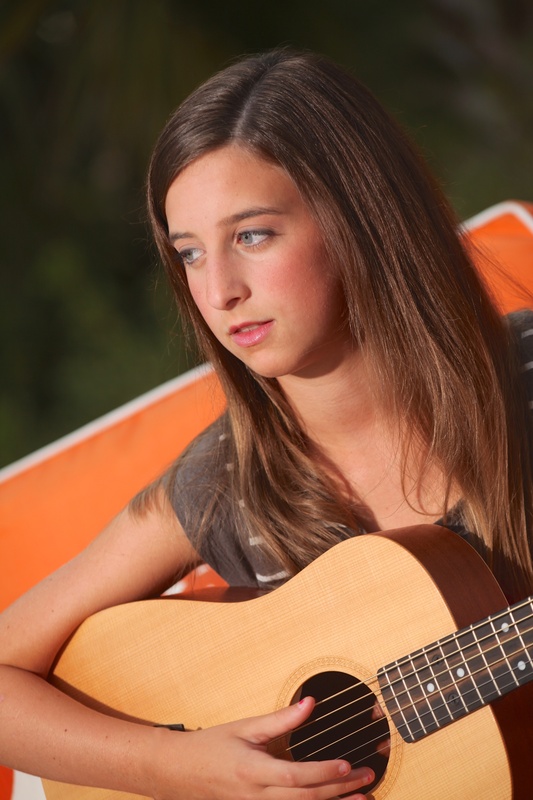 Jolie Montlick, Singer/Songwriter, Releases her Music Video for "My Song for Taylor Swift." Watch the music video at JolieMontlick.com and on youtube. Jolie's other songs are on iTunes and Amazon.Jolie was inspired to write her song while sitting in the front row of Taylor Swift's Speak Now Concert Tour. 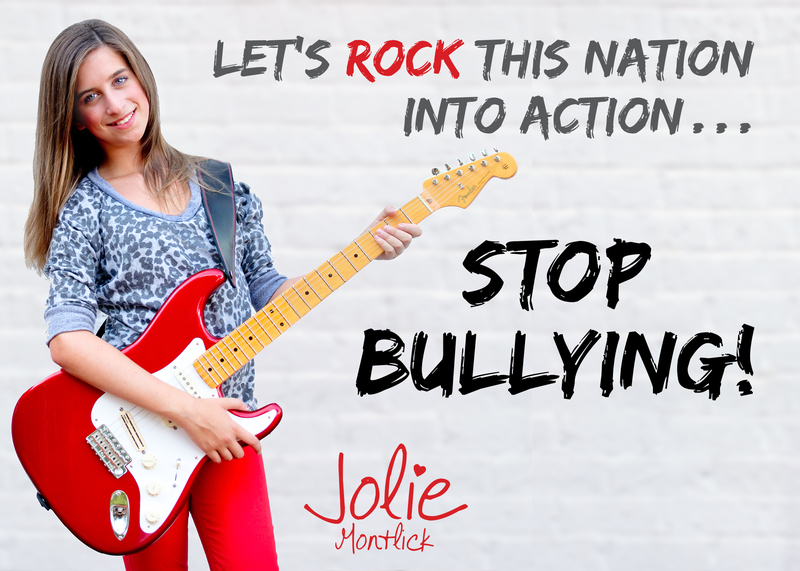 Jolie Montlick is a National Spokesperson for an anti-bullying organization, and she wrote "My Song for Taylor Swift" to empower kids to take positive actions when they see bullying happen.Jolie Montlick just released four songs on iTunes and Amazon. 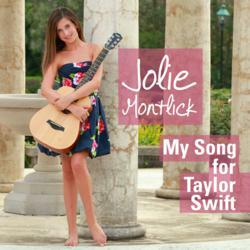 To watch the music video for her tune "My Song for Taylor Swift" visit JolieMontlick.com or youtube.com/joliemontlick. Jolie Montlick is also a National Spokesperson for the A4K Club, an anti-bullying program (a4kclub.org).In the music video for her original tune "My Song for Taylor Swift," Jolie sings about how Taylor Swift is such an amazing person, but even she was bullied, and that kids needs to use their voices to speak up to stop the bullying. Courtyard Scene from "My Song for Taylor Swift" Music Video.150 Kids and Adults appears in the Music Video for "My Song for Taylor Swift" by Jolie Montlick. Video Honors Taylor Swift and empowers kids to speak up and take positive actions when they see bullying. Scene from the Music Video "My Song for Taylor Swift' by Jolie Montlick that was just released. Watch the video at JolieMontlick.com and on youtube.Bullying Scene from "My Song for Taylor Swift" Music Video by Jolie Montlick. The video shows numerous heartwarming scenes in the face of bullying and empowers kids to use their voices to speak up when they see it happening.